Q. What is the difference between a detector tube and a dosimeter tube? A. Both detector tubes and dosimeter tubes contain a color-changing material that is specific for the chemical or family of chemicals that it is designed for and will generally have a graduated scale to display the concentration of the vapor. The detector tube is designed to provide an instantaneous reading with the use of a hand or motorized pump, which will assist in obtaining an employee’s acceptable ceiling concentration of a hazardous chemical. The dosimeter tube is primarily used to determine an employee’s permissible exposure limit (PEL) over an eight-hour time weighted average (TWA). OSHA regulates employees’ exposure to hazardous vapors in tables Z-1 and Z-2 of the 29 CFR 1910.1000. These tables list the maximum eight-hour time weighted average (TWA) of a 40-hour workweek and the acceptable exposure ceiling for most chemicals. Q. Can I use a detector tube with a pump from another brand? A. No. Usually, detector tubes from one brand won’t fit in another brand’s hand pump because of the difference in diameter of the tubes. More importantly, the tubes are calibrated to a specific airflow and volume. So using another brand’s pump may generate inaccurate results. Q. Do detector tubes have a shelf life? A. Yes. The manufacturer will usually print the expiration date on the outside packaging of the tubes. Most tubes will have a two-year shelf life from the date of manufacture. Q. What is more accurate—an air monitor, a detector tube or a sampling badge? A. Each of these methods has its limitations. A detector tube provides an instantaneous reading, but it relies on the user to pump the correct volume of air through it and to identify where the material color change lies on the graduated scale (which doesn’t provide a mark for each part per million). A digital monitor also provides an instantaneous reading to a precise part per million or percentage, but it relies on the user to calibrate the sensors on a regular basis using the correct calibration gas and regulator. Sampling badges can produce accurate results, but their accuracy depends on the laboratory that is used for analysis and, the results can take a week or two to obtain. Usually, if you have time to wait for the results and the lab used is accredited, sampling badges can be the most accurate. Q. What is the difference between bump testing and calibrating an air monitor, and when should I do both? A. Bump testing an air monitor consists of applying a known concentration of gas to the monitor to see if its respective sensor reacts within 90-120% of the expected value. If the monitor doesn’t respond accurately, then it should be fully calibrated. Bump testing should be performed prior to each day’s use. Calibrating an air monitor can be done in two ways, depending on the features of the monitor and the calibration equipment used. A manual calibration consists of entering the monitor’s calibration mode (usually through its menu), then applying a constant flow of calibration gas that is within the manufacturer’s specifications at the correct flow rate. Using incorrect gas concentrations or a regulator with the incorrect flow rate can cause the monitor to produce inaccurate readings. Some air monitors will require the user to adjust what the monitor is reading to match the concentration of the calibration gas for each sensor, where other monitors will test all sensors at the same time and require no user adjustments. Automatic calibration is performed using a docking station with calibration gas and a demand flow regulator that will pull a sample of gas only when it is needed. This will not only conserve calibration gas but can also extend the life of the sensor because it limits the exposure to the gas. Most docking stations will start calibrating the monitor once the monitor is placed in the docking bay and will not require adjustments by the user. Regardless of how the calibration is performed, it should be done in accordance with the manufacturer’s specifications, which is usually annually or whenever there is doubt of the sensor’s accuracy. Don’t take a chance with your life: verify the accuracy frequently. Q. I smell rotten eggs in my house. What am I smelling? A. The rotten egg smell is hydrogen sulfide (H2S) which is created by bacteria breaking down organic matter. H2S is flammable and can deaden your sense of smell at higher concentrations, so you can’t always rely on your nose to determine if it is present. H2S in the home usually means that a plumbing fixture’s drain is not venting correctly. Contacting your local plumber to evaluate the smell is the best option. A dosimeter tube or color change badge can be placed in suspecting rooms, such as the bathroom or kitchen, to determine if H2S is present. Q. What is LEL, and what does the reading mean? A. LEL (lower explosive limit) is the point at which a combustible gas, when mixed with air, has developed the minimum concentration to combust when exposed to an ignition source. LEL is usually stated in percent of gas in air (1% = 10,000ppm). The LEL sensor can detect many combustible gases but does not differentiate between them, so the reading displayed can be the total concentration of multiple combustible gases if present. The LEL sensor requires oxygen in order to oxidize the combustible gas in order to produce a reading. If the environment is oxygen deficient, LEL readings may not be accurate. LEL sensors are usually factory calibrated to either methane or pentane, and the manufacturer of the monitor may include a cross-sensitivity multiplier for other combustible gases so the user can accurately calculate the concentration of another combustible gas. Q. How long do sensors on air monitors last? A. The life of a sensor depends on several factors: mainly, how frequently it has been exposed to a gas, the concentration of the gas it’s been exposed to, if the monitor has suffered a blow, and if it’s been exposed to any poisonous vapors, such as volatile organic compounds (VOCs) or Freon. Even when the monitor is turned off, the sensor can still deplete if it is exposed to its respective gas. To extend the life of the sensors, you can either store the monitor in an airtight container or remove the sensor from the monitor entirely and store it in an airtight container. Removing the sensors for an extended period of time will, in most cases, require the user to recalibrate them. When used and stored correctly, oxygen sensors will have an average life of one to two years, where toxic and LEL sensors will have an average life of two to four years. Q. Can an ambient air respirator be used in environments that are Immediately Dangerous to Life and Health (IDLH)? A. No. The only options in an IDLH environment are a pressure demand airline respirator with an escape bottle or a Self-Contained Breathing Apparatus (SCBA). Ambient air pumps should only be used in locations containing at least 19.5% oxygen. Q. What is the maximum distance allowed between the air source and the person? A. Most airline respirator manufacturers make air supply hoses in either 50' or 100'L. However, the use of inlet hose extensions may be used with some brands to increase the distance from air source to person to reach a greater distance. Check the owner's manual of your airline respirator to see specific recommendations for the maximum length of hoses allowed. Q. When should inlet and exhaust filters be replaced? A. Most manufacturers suggest replacing the inlet and exhaust filters every 200 running hours. However, conditions can vary. Check the owner's manual for pump-specific recommendations. Q. How much airflow is required to reach the facepiece? A. According to the National Institute for Occupational Safety and Health (NIOSH), when used with an approved airline at a pressure of 1-105 PSI, air is delivered to the respirator at a rate of at least 4 cu. ft. per min. (CFM) for a tight-fitting facepiece and at least 6 CFM for a loose-fitting facepiece. Q. What is a confined space? Is large enough and so configured that an employee can bodily enter and perform assigned work. Has limited or restricted means of entry or exit (eg. tanks, vessels, silos, storage bins, hoppers, vaults and pits). Is not designed for continuous occupancy. Q. What is the difference between a nonpermit and permit-required confined space? A. A nonpermit confined space does not contain or, with respect to atmospheric hazards, have the potential to contain any hazard capable of causing death or serious physical harm. Contains or has the potential to contain a hazardous atmosphere. Contains a material that has the potential for engulfing an entrant. Has an internal configuration such that an entrant could be trapped or asphyxiated by inwardly converging walls or by a floor that slopes downward and tapers to a smaller cross-section. Q. What is the difference between a two-way and a three-way winch? A. Two-way winches are manually operated winches used for hoisting people and/or equipment into or out of the confined space. Three-way winches are also manually operated winches but they are not engineered and/or intended for continuous raising and lowering of persons and/or equipment into or out of a confined space. Three-way winches have additional features such as a built-in SRL (Self-Retracting Lifeline) that enables winch ease of use for persons entering and exiting confined spaces that incorporate an entry/exit system; eg. ladder system. The SRL feature is a 'trailing cable' system built into a three-way winch that when connected to a person entering and/or exiting a confined space that happens to either slip and fall and/or become incapacitated, the SRL will immediately engage via the winch internal braking system so as to prevent the attached end-user from dropping/falling. If this were to occur, at this point, the three-way winch is intended to then be used in a mode for rescue use to manually raise an incapacitated person from the confined space. Unlike a two-way winch, the three-way winch mode for raising and lowering is only intended to be used for rescue purposes versus continuous raising and lowering activities. Q. If I use my three-way winch for emergency hoisting, do I need to remove it from service and have it inspected? A. After an impact, the winch must be removed from service and inspected as per manufacturer instruction(s). Q. What is an immediately dangerous to life and health (IDLH) atmosphere? A. It is an atmospheric containing of any toxic, corrosive or asphyxiant substance and/or any condition that poses an immediate or delayed threat to life or would cause irreversible or delayed adverse health effects or that would interfere with an individuals ability to escape unaided from a permit-required confined space. Q. Can an ambient air pump be used for confined space respiratory protection? A. Those confined spaces deemed IDLH (Immediately Dangerous to Life and Health) environment require an SCBA or an airline respirator with an escape bottle. These model Escape bottles normally require a high-pressure/pressure-demand breathing system. An AABA (ambient air breathing apparatus) is a low-pressure, constant-flow product. Therefore, the high-pressure escape bottle and the low-pressure AABA will not work together. A. LEL is the acronym for lower explosive (flammable) limit and it is 'one' of the items required to be tested prior to entry into a confined space. The level of flammable gas(s) must be below 10% of the LEL to ensure there is not enough gas present to support combustion. Q. What air monitoring needs to be performed prior to entering a confined space? OxygenTest for oxygen first in order to be sure you get an accurate LEL reading. Most combustible gas meters are oxygen-dependent and will not provide reliable readings in an oxygen-deficient atmosphere. Oxygen levels should be between 19.5 and 23.5%. LELTest flammable gas/vapor levels due to the threat of fire and/or explosion, which can be an immediate and life threatening hazard. Toxic air contaminantsTesting for impurities such as carbon monoxide (CO), hydrogen sulfide (H2S) and/or chlorine (Cl2). Q. If I monitor prior to entry and my readings are OK, does monitoring need to continue while person(s) are within a confined space? A. Title 29 of the Code of Federal Regulations 1910.146 paragraph (c)(5)(ii)(F) requires periodic testing as necessary to ensure the space is maintained within the limits of the acceptable entry conditions. This is critical. OSHA states that all permit space atmospheres are dynamic due to variables such as temperature, pressure, physical characteristics of the material posing the atmospheric hazard, variable efficiency of ventilation equipment and air delivery system, etc. Test conditions in the permit space to determine if acceptable entry conditions exist before entry is authorized to begin, except that, if isolation of the space is infeasible because the space is large or is part of a continuous system (such as a sewer), pre-entry testing shall be performed to the extent feasible before entry is authorized and, if entry is authorized, entry conditions shall be continuously monitored in the areas where authorized entrants are working. Q. When should I use tripod and winch systems for confined space entry? A. If entering a permit-required confined space that remains classified as such during the entry, then a retrieval system needs to be used in the event the hazard present incapacitates the entrants and/or hinders their ability to self-rescue. Q. Do I need a tripod/winch if my confined space has a ladder? Does the depth of the confined space matter? A. Upon initial inspection and evaluation of the confined space, if it is determined that a person could be injured in such a way that he/she would not be able to self-rescue (e.g., climb a ladder), then a retrieval system is necessary. If entering a confined space where the potential for a fall could occur (i.e., a person could slip or lose control climbing a ladder), then fall protection must be included in the confined space entry system. A self-retracting lifeline with a winch retrieval system provides rescue retrieval for a worker entering a confined space should he/she become incapacitated. It is the responsibility of the employer to evaluate EACH space separately, and develop entry and rescue procedures for EACH individual space, according to 29 CFR 1910.146(d)(3) and 29 CFR 1910.146(d)(4). Generally speaking, according to the Preamble to the Confined Space Standard, at a depth of 5 ft. or greater, some form of mechanical means is needed to extract the worker from a vertical confined space. A. Two-way winches are manually operated winches used for hoisting people and/or equipment into or out of the confined space. Three-way winches are also manually operated winches, but they are not engineered or intended for continuous raising and lowering of persons and/or equipment into or out of a confined space. Three-way winches have additional features, such as a built-in self-retracting lifeline (SRL), that enables winch ease of use for persons entering and exiting confined spaces that incorporate an entry/exit system, e.g., a ladder system. The SRL feature is a “trailing cable” system built into a three-way winch that, when connected to a person entering or exiting a confined space who happens to slip and fall or otherwise become incapacitated, will immediately engage the SRL via the winch’s internal braking system and prevent the person from dropping or falling. At that point, the three-way winch would be used in a rescue mode to manually raise the incapacitated person from the confined space. Unlike a two-way winch, the three-way winch mode for raising and lowering is only intended to be used for rescue purposes and not for continuous raising and lowering activities. Q. Is the self-retracting lifeline (SRL) also fall protection? A. Yes. The self-retracting lifeline is a Type 1 fall-protective device. A Type 1 fall-protective device is used for restraint and/or fall arrest where fall hazards exist. Q. I see tripods for confined space entry systems come in either 7- or 9-ft. heights. What determines the height of the tripod I need? A. A 9-ft. tripod allows more overhead clearance in a rescue situation. A 7-ft. tripod may make a rescue difficult by not allowing the worker to completely clear the opening of the confined space. There is no requirement for when to use a 9-ft. tripod versus a 7-ft. tripod. Q. When should I select a two-way winch rather than a three-way winch confined space entry system? A. A two-way winch/hoist is used to lower a worker into the confined space as well as raise the worker out of the confined space. This is the only option for persons who do not have a primary means of entry (e.g., a ladder) or the primary means of entry is in questionable condition. If there is a ladder that the worker can use to enter into or exit from the confined space and there is a potential for a fall, then a three-way winch system that incorporates a self-retracting lifeline should be used, in addition to a manual operated winch that is available for use as a rescue winch if needed. In turn, the three features of a three-way winch with the SRL feature enable users to be protected against falling and also serve to raise and/or lower an individual during rescue within a confined space. A complete assessment of a confined space entry and the potential dangers of the confined space is essential before determining what safety equipment should be selected. Q. Can I use any harness for confined space entry using a tripod and winch system? Q. How often do I need to test my emergency eye wash and shower equipment? A. Plumbed eye wash and shower units shall be activated weekly to verify proper operation. If you have a gravity-feed unit, you need to check the manufacturer’s recommendation for your unit. All emergency eye wash and shower equipment should be inspected annually to ensure compliance with the ANSI Z358.1 installation requirements. This includes flow pattern and flushing fluid flow rates. Q. Is there a recommended temperature range for the flushing solution from emergency eye wash or shower equipment? A. The ANSI standard states that emergency eye wash and shower equipment should deliver tepid flushing fluid. Tepid water is referenced in Appendix B6 of the ANSI Z358.1 standard as having a temperature range of 60°F to 100°F. Q. How long do I have to test my emergency eye wash or shower equipment during the weekly test? A. Plumbed equipment should be tested long enough to ensure proper operation. It does not have to be tested for a full 15 minutes. A. A personal eye wash is a supplementary eye wash that supports plumbed units, gravity-feed units or both by delivering immediate flushing fluid. However, a personal eye wash unit cannot be a substitute for an emergency eye wash unit because it is not capable of delivering flushing fluid to both eyes simultaneously at the ANSI Z358.1 required rate of 0.4 gallons per minute for 15 consecutive minutes. Q. Why do eye wash solutions have an expiration date? A. Eye wash solutions have an expiration date due to the effectiveness of the preservative present in the solution. Preservatives are used to inhibit bacterial growth. Over time, these preservatives lose their effectiveness. The expiration date serves as a warning that the solution may not be able to prevent bacteria growth past that date. Any solution past its expiration date should not be used. Q. Are there guidelines on where I should locate an emergency eye wash or shower? A. Yes. Eye wash and shower equipment should be accessible and should not require more than 10 seconds or approximately 55 feet to reach. The unit should be located on the same floor as the hazard and the path should be free of obstructions (doors are considered obstructions in most cases) that may inhibit the immediate use of the equipment. Q. How does OSHA cite employers for ergonomic-related issues when there is no ergonomics standard? A. Employers with ergonomic issues could be cited under OSHA's General Duty Clause. The General Duty Clause, Section 5(a)(1) of the Occupational Safety and Health Act (Public Law 91-596) states employers must keep their workplaces free from recognized serious hazards that would include ergonomic hazards. It specifically states that an employer shall furnish to each of his/her employees employment and a place of employment which are free from recognized hazards that are causing or are likely to cause death or serious physical harm to his/her employees. Q. For assistance with identifying potential ergonomic problems, where can an employer turn for help? Q. What are the strength requirements for fall-arrest system anchors? A. Fall-arrest system anchors must be capable of supporting a static load of 5,000 lbs. for each worker connected to an anchorage point, unless engineering certification exists. Anchorage points that have engineering certification must still maintain a safety factor of at least 2:1 when the system is designed, installed and used under the supervision of a qualified person. Fall-arrest systems must limit a fall to 6 ft., according to ANSI A10.14-1991, OSHA 1926.502. Q. What are the components of a PFAS (Personal Fall-Arrest System)? Anchorage device: D-bolt anchor, cable anchors, and cross-arm strap, etc. Body wear: full-body harness, body belt “not” for fall arrest, but for positioning use only to assist in stabilizing the position of a worker in certain work applications (for use in general industry only; these are not acceptable as part of a PFAS in the Construction Standard [OSHA 1926-502)]). Connecting devices: lanyards, self-retracting lanyards, fall limiters and tie-back lanyards. Q. When wearing a full-body harness, what should the fall-arrest forces be limited to? A. A full-body harness used with a personal fall arrest system shall produce a maximum arrest force of not more than 1800 lbs., per ANSI Z359.1-2007 E3.1.2. Q. What will a shock-absorbing lanyard limit fall-arrest forces to? A. Shock absorbing lanyards shall limit fall-arrest forces to 900 lbs. or less, per ANSI Z359.1-2007 E3.2.4.7. Q. What is the service life for fall protection? A. General guidelines from OSHA, ANSI and most manufacturers state fall protection equipment does not have a specified shelf-life or life expectancy. However, their stance on this issue strictly depends upon manufacturer. Still, routine inspection of all fall protection should be done per manufacturer guidelines. Q. Define Type I vs. Type II fall protection. A. Type I fall protection can be used for fall protection as well as positioning. Type II fall protection should be used for positioning only. Q. Please list the maximum working weight for full-body harnesses for OSHA and ANSI. A. The maximum working weight on a full-body harness for OSHA is 400 lbs. for man and tools; for ANSI it is limited to 310 400 lbs. for man and tools. One should always consult with manufacturer ratings for the specific style/model and brand of the harness intended to be ordered and/or used. Q. What are an employer's obligations/responsibilities regarding fall protection training? A. Employers shall provide a training program for each employee to recognize the hazards of falls and shall train each employee on the procedures to be followed in order to minimize the respective hazard(s). Q. What OSHA regulations pertain to fall protection training requirements? A. Fall protection training requirements are in OSHA's 29 CFR 1926 Safety and Health Regulations for Construction-subpart C, General Safety and Health Provisions-1926.21 Safety training and education. Training provisions within 1926.503 supplement and clarify requirements of 1926.21 regarding hazards addressed in subpart M of this standard. Q. Per the OSHA 1926.503(a)(2) regulation, what areas of training are required of an employer? The standards contained in this subpart. Q. What is the proper height to mount a fire extinguisher, as stated in NFPA 10 guidelines? A. Extinguishers with a gross weight not exceeding 40 lbs. should be installed so that the top of the extinguisher is not more than 5 ft. above the floor. Extinguishers with a gross weight greater than 40 lbs., except wheeled types, should be installed so that the top of the extinguisher is not more than 3 ft. above the floor. In no case can the clearance between the bottom of the extinguisher and the floor be less than 4 in. Q. How do you use a portable fire extinguisher, and what is the well-known training acronym for proper extinguisher use? Pull the handle pin on the top of the extinguisher. Aim the nozzle at the base of the fire and stand approximately 8 to 10 ft. from the fire. Sweep the nozzle/extinguisher side to side at the base of the fire. After the fire is out, watch/inspect the fire location carefully to ensure it does not reignite. Q. What are the four classes of fires and their respective hazard materials? 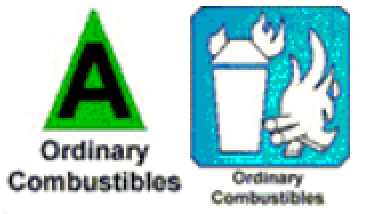 Class A: Ordinary combustibles. These can include wood, paper, fabrics, rubber and many plastics. Class B: Flammable liquids and gases. These can include gasoline, paint, oils, grease, tar, lacquer and other solvents. 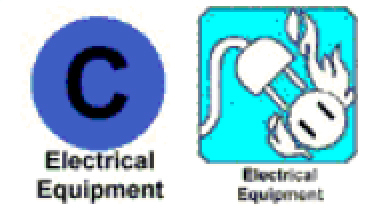 Class C: Energized electrical equipment. This can include wiring, motors, generators, panels, switches and appliances. 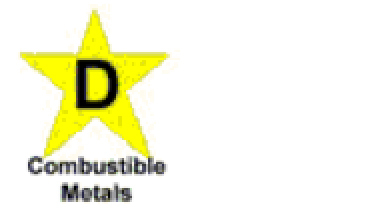 Class D: Combustible metals and combustible metal alloys. Class K: Cooking media (fats, greases, oils) used in commercial cooking such as restaurants. Q. What does the UL rating for a fire extinguisher indicate? The A rating is a water equivalency rating. Each A is equivalent to 1-1/4 gal. of water. 4A=5 gal. of water. 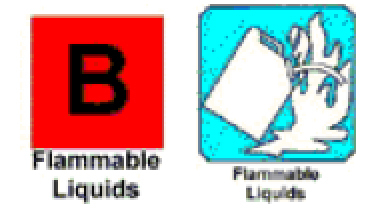 The B:C rating is equivalent to the area (square footage) that, related to the degree of training and experience of the operator, the extinguisher can cover. 20 B:C=20 sq. ft. of coverage. C indicates the extinguisher is suitable for use on electrically energized equipment. When analyzing these ratings, note that there is not a numerical rating for Class C or Class D fires. Class C fires are essentially either a Class A or Class B fire involving energized electrical equipment, where the fire extinguishing material must be nonconductive. The fire extinguisher for a Class C fire should be based on the amount of the Class A or Class B component. For extinguisher use on a Class D fire, the relative effectiveness is detailed on the extinguisher nameplate. Q. How do I determine what size fire extinguisher I need? The nature of the combustible or flammables that present. The potential severity, including the size, intensity and speed of travel of potential fire. Effectiveness of the fire extinguisher on a given fire source. Ease of use of a specific model extinguisher. Personnel trained in reacting and operating an extinguisher. The suitability of the extinguisher for a given environment, which can include existing ambient temperature conditions and other surrounding potential atmospheric conditions such as wind, draft and/or presence of vapors or fumes. Anticipating adverse chemical reactions between the extinguishing agent and the resulting burning material(s). The health and operational safety issues of extinguisher operators with type of extinguishing agent(s). The maintenance requirements for certain model extinguishers. The information below provides additional rating information to assist in determining the appropriate extinguisher for specific applications. Class A extinguishers will put out fires in ordinary combustibles, such as wood and paper. The numerical rating for this class of fire extinguisher refers to the amount of water the fire extinguisher holds and the amount of fire it will extinguish. Class B extinguishers should be used on fires involving flammable liquids, such as grease, gasoline, oil, etc. The numerical rating for this class of fire extinguisher states the approximate number of square feet of a flammable liquid fire that an average person can expect to extinguish. Class C extinguishers are suitable for use on electrically energized fires. This class of fire extinguishers does not have a numerical rating. The presence of the letter C indicates that the extinguishing agent is nonconductive. Class D extinguishers are designed for use on flammable metals and are often specific for the type of metal in question. There is no picture designator for Class D extinguishers. These extinguishers generally have no rating and are not given a multi-purpose rating for use on other types of fires. Class K extinguishers are used on fires involving cooking media (fats, grease and oils) in commercial cooking such as restaurants. These fire extinguishers work on the principal of saponification. Saponification takes place when alkaline mixtures such as potassium acetate, potassium citrate or potassium carbonate are applied to burning cooking oil or fat. The alkaline mixture combined with the fatty acid creates a soapy foam on the surface, which holds in the vapors and steam and extinguishes the fire. These extinguishers are identified by the letter K.
Q. Do flammable liquid storage cabinets have to be vented? A. NFPA Chapter 4.3.4 states, “The storage cabinet shall not be required by this code to be vented for fire protection purposes, and vent openings shall be sealed with the bungs supplied with the cabinet or with bungs specified by the cabinet manufacturer. However, if the storage cabinet is vented for any reason, the cabinet shall be vented directly to outdoors in such a manner that will not compromise the specified performance of the cabinet and in a manner that is acceptable to the authority having jurisdiction.” While federal OSHA and NFPA rules do not require venting of flammable storage cabinets, individual states and local municipalities could require venting. Check with your local fire marshal for guidance on this matter. Q. What is a safety can? A. OSHA defines a safety can as “…an approved container, of not more than 5 gallons capacity, having a spring-closing lid and spout cover and so designed that it will safely relieve internal pressure when subjected to fire exposure (1910.106(a)(29)).” This definition allows a wide variety of containers to be considered safety cans. However, many local laws and insurance carriers require safety cans to be Factory Mutual (FM) or Underwriters Laboratory (UL) approved. These two organizations are nationally recognized independent testing laboratories to which manufacturers submit products for evaluation of their ability to meet safety requirements under intended use. Products that meet the requirements are given the FM or UL product approval. Both laboratories are also recognized by OSHA. In addition to the storage of flammable and combustible liquids in safety containers, 29 CFR 1910.106 limits the amount of liquid in a single container. The following chart shows what the allowable amounts of liquid are for each class of liquid. Q. What's the difference between a Type I and Type II safety can? A. The main difference between Type I and Type II safety cans is that a Type I can has only one opening. The opening is used for both filling of and dispensing from the container. A Type II can has two openings, one that is used for filling the container and the other for dispensing. Q. How are flammable liquid safety cabinets designed, constructed and tested to meet NFPA 30? A. NFPA 30 Chapter 4.3.3 (b) and OSHA 29 CFR 1910.106 (d)(3)(ii)(a) state, “Metal cabinets constructed in the following manner are acceptable. The bottom, top, door, and sides of cabinet shall be at least No. 18 gauge sheet steel and double walled with 1-1/2 inches (3.8 cm) air space. Joints shall be riveted, welded or made tight by some equally effective means. The door shall be provided with a three-point latch arrangement and the door sill shall be raised at least 2 inches (5 cm) above the bottom of the cabinet to retain spilled liquid within the cabinet.” NFPA 30 Chapter 4.3.3 (a) also states, "Storage cabinets shall be designed and constructed to limit the internal temperature at the center, 1 inch (2.5 cm) from the top, to not more than 325° F (162.8° C) when subjected to a 10-minute fire test with burners simulating a room fire exposure using the standard time-temperature curve as given in NFPA 251, Standard Methods of Fire Tests of Building Construction and Materials. All joints and seams shall remain tight and the door shall remain securely closed during the fire test." Q. Do I need self-closing doors on my safety cabinet? A. Self-closing doors are not an NFPA requirement; however, the Uniform Fire Code 66 does require that all flammable cabinets have self-closing doors. Many state and local codes do require compliance with the UFC. To find out if you are in an area with this additional requirement, contact your local fire marshal. Q. When am I required to have a safety cabinet? The amount of liquid storage and location of cabinets is regulated. 1910.106 (d)(3) states, "Not more than 60 gallons of Class I or Class II liquids, nor more than 120 gallons of Class III liquids may be stored in a storage cabinet." Also, according to NFPA 304.3.2, not more than three such cabinets may be located in a single fire area. Q. How can wooden safety cabinets be acceptable? Actually, storing flammable liquids in wooden cabinets that meet the design criteria from OSHA and NFPA is safer than storage in metal cabinets. Wooden flammable cabinets provide an excellent thermal barrier to extreme temperatures during a fire, which helps keep the temperature inside the cabinet to a minimum. Metal, on the other hand, is a heat conductor that can raise the internal temperature inside the cabinet faster than a wooden cabinet. NFPA 30 Chapter 4.3.3 (c) states, "Wooden cabinets constructed in the following manner are acceptable. The bottom, sides, and top shall be constructed of exterior grade plywood at least 1 inch (2.5 cm) in thickness, which shall not break down or delaminate under fire conditions. All joints shall be rabbetted and shall be fastened in two directions with wood screws. When more than one door is used, there shall be a rabbetted overlap of not less than 1 inch (2.5 cm). Doors shall be equipped with a means of latching, and hinges shall be constructed and mounted in such a manner as to not lose their holding capacity when subjected to fire exposure. A raised sill or pan capable of containing a 2 inches (5 cm) depth of liquid shall be provided at the bottom of the cabinet to retain spilled liquid within the cabinet." Q. Can gas cylinders be stored on welding carts? A. No. OSHA CFR 29 1926.350 states that the storage requirements cannot be met if an oxygen cylinder and an acetylene cylinder are on a welding cart. The cart would lack the required separation, and there is not normally a fire barrier available for a cart. Q. Are there special provisions regarding storing my gas cylinders indoors? A. Yes. OSHA 29 CFR 1910.253 (b)(2)(ii) states that gas cylinders should be stored in a well-protected, well ventilated, dry location, at least 20 ft. from highly combustible materials such as oil or excelsior. Cylinders should be stored in definitely assigned places away from elevators, stairs or gangways. Storage spaces shall be located where cylinders will not be knocked over or damaged by passing or falling objects. Q. Can I store my cylinders in a locker or cupboard? A. No. Cylinders need to be kept in areas that are highly ventilated. Q. What respirator should I use for protection from the Swine Flu/H1N1? A. According to the Centers for Disease Control and Prevention (CDC), a properly fitted N95 respirator would meet the suggested minimums. Q. What is the difference between the N95 and P100 designations? A. A code system was developed by NIOSH to identify types and levels of efficiency for airpPurifying respirators (APRs). The letters N, R and P relate to how well the respirator resists oil: N = Not oil resistant, R = oil Resistant, and P = oil Proof. The numbers that follow the letters are basically how efficient the APR is against particles that are 0.3 microns in diameter or larger. A “95” will prevent 95% of those particles from getting through the mask, while a “100” will prevent 99.97% (almost 100%) from getting through. A properly fitted P100 offers the highest level of protection by this type of device. Q. What size respirator do I need? A. While APRs may be available in various sizes, they are not like shoe sizes. 80% of users will likely find that a Medium fits well. Of the remaining 20%, 10% would use a Small and 10% would use a Large. Ultimately, the respirator size you should use is the one determined by a fit test. Q. What is a 'Fit Test' and do I need to do it? A. In a qualitative fit test, you put on the APR and expose yourself to a nontoxic contaminant that you can either taste or smell. This is an important step because an APR may feel comfortable on your face, but may not fit you. The APR needs to form a seal against your face to work properly and provide the protection you expect. If you can sense the contaminant while wearing the APR, it does not fit you. You will need to adjust the APR to fit differently, or try another size, type or model. A quantitative fit test (QNFT) is defined by the 29 CFR 1910.134 standard as “… an assessment of the adequacy of respirator fit by numerically measuring the amount of leakage into the respirator." This type of fit test is generally done using testing equipment such as a Portacount. Many employers use APRs to protect employees against identified hazards. In this case, OSHA's Respiratory Protection Standard would need to be followed. If you are an individual, outside of the workplace, who is choosing to use an APR voluntarily, you can make the choice regarding fit testing yourself. Q. I can't find an APR that fits me—what options do I have? A. There are a variety of different styles offered by various manufacturers. Sometimes simply trying another brand or style will help. Otherwise, make sure that facial hair is not causing a problem with the mask sealing. If all other options fail, you may need to use a Powered Air Purifying Respirator (PAPR). Q. Can a “surgical face mask” be used instead of a NIOSH rated “respirator”? A. In applications where a NIOSH-approved respirator is required, a surgical face mask is not an equivalent substitute. Properly fitted APRs will seal against your face; they filter the air going both in and outof your lungs. By filtering out germs before they get into your airways, they can reduce the potential of infection. A surgical mask doesn't seal against your face; it creates a barrier that “catches” what may come out of your nose and mouth when you breathe out, cough or sneeze. They can be helpful in controlling the spread of germs. Q. How long does a respirator last, or when should I replace it? A. According to the CDC: "Like surgical masks, N95 respirators should be worn only once and then thrown away in the trash." Further guidance on change schedules can be found on the OSHA website. In addition, respirators should be replaced when they have come in contact with contaminants like bodily fluids. Q. I cannot find respirators for children. Are they available? A. Normally, respirators are used in the workplace. It's uncommon to have a child in this type of environment because of various laws and hazards. Further, children may not be able to physically move the air they need through the respirator. Q. How is a health care rated respirator different from other respirators? A. Health care respirators have a liquid barrier to offer greater protection from bodily fluids. They are intended for use by professionals and first responders that are expected to be exposed to infected patients. Q. Are there any health risks to using a respirator? A. You should always check with your physician before using an APR. It takes quite a bit of effort to breathe through an APR! Your physician will be able to help you decide what is right for your needs and abilities. Q. I have more questions that have not been answered in this FAQ—do you have any more resources? A. Yes! Visit the communicable and pandemic disease resource center. Q. What is the service life of a hard hat? A. It depends. According to the 2003 ANSI standard, all hard hat components should be inspected daily for signs of dents, cracks, penetration and any damage due to impact, rough treatment or wear. Any hard hat that fails the visual inspection should be removed from service until the problem is corrected. In addition to everyday wear and tear, ultraviolet (UV) radiation can pose a problem for hats constructed of plastic materials. Damage caused by UV radiation is easy to spot: the hat will lose its glossy finish and eventually take on a chalky appearance. Further degradation could cause the shell to actually start flaking away. Once the effects of UV radiation are detected, the hard hat shell should be immediately replaced. As long as the hard hat passes inspection, it can remain in service. When inspecting a hard hat, make sure to check both the inside and outside for possible damage. Pay closer attention to those that have stickers on them, as they tend to hide cracks. Q. How often do I have to replace my hard hat? A. Regardless of length of use, if a hard hat has any visible damage or defects, the hard hat should be replaced immediately. Also, if a hard hat has been struck by a forcible blow of any magnitude, the shell and suspension should be replaced immediately, even if no damage is visible. Any impact can substantially reduce the protection offered. As a general guideline, employers replace hard hats every five years, regardless of outward appearance. Most have manufacture date codes molded on the underside brim of the cap so you can easily determine its age. If the user environment is known to include higher exposure to temperature extremes, sunlight or chemicals, hard hats should always be inspected daily according to ANSI specifications. Q. Can I put stickers or decals on my hard hat? A. Considering the type of adhesive used in typical pressure-sensitive stickers, there is very little potential for chemical interaction between the adhesive and the helmet shell. The use of these types of stickers would not be expected to negatively affect the performance of the helmet under normal conditions. Two general rules of thumb should be followed if stickers and decals are used. First, adhesive stickers should be placed at least 3/4 inch away from the edge of the helmet. This prevents the possibility of the sticker acting as a conductor between the outside and inside of the shell if it were to wrap around the brim. Second, the areas of the helmet covered by stickers or decals should be kept to a practical minimum to permit regular inspection of the helmet shell for damage. Q. Can I wear my hard hat backward? A. In January 2009, ANSI updated the Z89.1 standard to include three nonmandatory tests that hard hat manufacturers can use to evaluate their product. One of these tests is the Reverse Donning test. Helmets marked with a "reverse donning arrow" can be worn frontward or backward in accordance with the manufacturer's wearing instructions. Hard hats marked with this "arrow" pass all testing requirements, whether worn frontward or backward. Q. Can I carry or wear anything inside of my hard hat? A. Per the ANSI Z89.1 standard, a clearance must be maintained between the hard hat shell and the wearer’s head for the protection system to work properly. Any object in this space may limit this clearance and the overall performance of the hard hat. Objects placed in this space that contain metal can also diminish the dielectric protection provided by the hat. There are some products designed specifically to work in conjunction with hard hats. Be sure to follow the manufacturer’s recommendations for use. Q. When does hearing protection need to be worn? A. The OSHA standard, 29 CFR 1910.95, does not alter the long-existing requirements that hearing protectors shall be provided and used to reduce sound levels to within a 90dBA time-weighted average (TWA) for an eight-hour day (specified in Table G-16) but it does add a number of additional conditions that trigger a hearing protector requirement. The employer shall make hearing protectors available to all employees exposed to an eight-hour TWA of 85dB. 29 CFR 1910.95(i)(1). The employer shall ensure hearing protectors are worn by employees so exposed if they have not yet had the baseline audiogram OR if any annual audiogram shows a potential hearing loss. Employees are obligated to wear hearing protectors because of the long-existing 90dBA rule mentioned above. 29 CFR 1910.95(i) (2). Q. When should monitoring be done? A. Under 29 CFR 1910.95(d), OSHA states that noise levels must be monitored when information indicates that any employee’s exposure may equal or exceed an eight-hour TWA of 85dB. As a general rule, if an individual’s voice must be raised to converse at a distance of three feet, the noise level probably exceeds 85dB. At the very least, this is an indication that monitoring should be conducted. Q. How should monitoring be done? A. You can use either a sound level meter or an audio dosimeter. According to OSHA, sound level meters need to be Type 2 set on slow response and the A scale. Q. What is the difference between a sound level meter and an audio dosimeter? A. A sound level meter is an amplifying device that converts sound pressure waves into measurable units of decibels (up to 140dB). Sound level meters are used in basic and engineering surveys. A sound level meter is typically used for spot readings of equipment. A dosimeter is essentially a two-in-one piece of equipment. It is a sound level meter that integrates noise samples over time, meaning the dosimeter averages several noise samples taken every second over a discreet period of time and sums up all of those averages to give a total represented as a dose percentage or TWA. A dosimeter is typically used for personal surveys. Q. How is an employee’s hearing evaluated? A. The backbone of the employee evaluation is the audiometric test. An audiometric testing program is comprised of two types of tests, or audiograms: baseline and annual. Audiograms are used to document an employee’s hearing level. The baseline audiogram must be conducted within six months of confirmation of an exposure equal to or exceeding the 85dB action level. It establishes a reference point to which future annual audiograms can be compared. The initial annual audiogram must be conducted within one year of the baseline. Subsequent audiograms must be performed yearly thereafter. Q. What is a Noise Reduction Rating (NRR)? A. The Noise Reduction Rating (NRR) is defined as the maximum number of decibels (dB) the sound level will be reduced when the hearing protector is worn. Q. What is the OSHA Safety Factor? A. Calculated attenuation values of hearing protection devices reflect realistic values only to the extent that the protectors are properly fitted and worn. Therefore, OSHA has specified in Appendix B of 1910.95 in title 29 of the Code of Federal Regulations that 7dB will be used as a safety factor in determining the Noise Reduction Rating (NRR) of hearing protection devices. Q. Can earmuffs and earplugs be used together to provide more noise reduction? Q. Can earmuffs be worn in conjunction with safety glasses? A. Earmuffs require a perfect seal around the ear. Glasses, facial hair, long hair or facial movements such as chewing may reduce the protective value of earmuffs. Therefore, it is best to wear either earplugs or a hearing band if safety glasses or prescription glasses need to be worn. Q. What is Hexavalent Chromium? A. Hexavalent Chromium Cr(VI) is a toxic form of the element chromium. Cr(VI) compounds are man-made and widely used in many different industries, such as the chemical industry in pigments (ingredients in catalysts), metal plating processes, and in general chemical synthesis. It can also be produced when welding on stainless steel or painted surfaces. Q. What does OSHA have to say about Hexavalent Chromium? A. On February 28, 2006, OSHA published the final standard for occupational exposure to Hexavalent Chromium. The new standard will protect workers against exposure to compounds containing Hexavalent Chromium Cr(VI) in the general industry, construction and shipyard sectors, while providing employers with adequate time to transition to the new requirements. OSHA estimates 558,000 workers are covered by the provisions in this new standard. Q. What are the exposure limits? A. The new OSHA standard lowers the permissible exposure limit (PEL) for Hexavalent Chromium, and for virtually all Cr(VI) compounds, from 52 micrograms per cubic meter (ug/m3) down to 5 (ug/m3) of air as an eight-hour, time-weighted average. There are exceptions for Cr(VI) found in Portland cement and in pesticide applications. Material Safety Data Sheets (MSDS) should also be checked for any mention of the presence of Cr(VI). Q. How can one measure for PEL? Industries covered by this new rule must achieve the PEL through engineering and work practice controls to the extent that is technologically feasible. Q. What are the health effects? Q. How should I maintain and inspect my ladder? A. Even though there are various ladder types and materials, there are common guidelines to consider when maintaining and inspecting ladders. Inspect a ladder thoroughly before each use. Rungs, steps and rails should be intact and sturdy. Fasteners and braces should be in place and secure. Any moving parts should be in good working order. Keep the rungs clean, dry and free of any oil or grease. If an inspection reveals damage, the ladder should be repaired to its original condition. If repair is not practical or feasible, the ladder should be taken out of service. Ladders should not be painted because paint may disguise or cover cracks and damage. Ladders should be stored in a safe, dry location. Q. What size ladder do I need? A. Once you have determined the proper type of ladder and its material, another critical factor in the selection process is the length. For stepladders, it is suggested that the size be approximately 3 or 4 ft. shorter than the height you want to reach. For extension ladders, a 75-degree angle is suggested so that the distance from the structure to the ladder’s feet is one-fourth the distance from the ground to where the ladder contacts the structure. Also, a 3-ft. overhang is generally suggested. Q. Can I work off the top step of my stepladder? Q. What is the difference between lockout and tagout? A. Lockout is the placement of an energy isolation device on a piece of equipment to render it inoperable. A lockout uses a lock to hold an energy-isolating device in a safe position and prevents the energization of the machine or equipment. Tagout is when a tag is placed on a piece of equipment to indicate that the equipment being controlled may not be operated until the tagout device is removed. Q. When can tagouts be used? A. A tagout device should only be used if the employer can demonstrate that the utilization of a tagout system will provide full employee protection. Q. What are the procedures for removing a lockout/tagout device? A. Before lockout or tagout devices are removed, the authorized employee shall ensure that nonessential items are removed from the machine and that machine components are operationally intact. The area should be checked to ensure all employees are safely positioned or removed. The lockout/tagout device must be removed by the person who applied the device. The equipment should be completely cycled to ensure it is operating properly. Q. Do machines with one plug need to be locked out? A. The standard does not apply to situations where the cord-and-plug machine is under the exclusive control of the employee. Q. What is the difference between an authorized employee and an affected employee? A. An authorized employee is a person who locks out or tags out machines or equipment in order to perform service or maintenance on the machine or equipment. An affected employee is an employee whose job requires him or her to operate or use a machine or piece of equipment on which service or maintenance is being performed or in an area where it is being performed. Q. What is the difference between static-dissipative and electrically conductive anti-fatigue mats? A. Static-dissipative and electrically conductive matting both conduct a charge when grounded. The difference between the two is defined by the materials’ resistance, which affects the speed of the discharge. The lower the resistance, the quicker the discharge. A conductive material has a surface resistivity of less than 1 x 105 ohms per square. Dissipative materials have a surface resistivity of 1 x 106 to 1 x 1012 ohms per square. Q. What applications are suitable to each type of mat? A. Conductive matting should be used around very sensitive electronic equipment and flammable chemicals because it disperses static electricity much quicker than static dissipative mats. Static dissipative mats can be used to control static electricity where sensitive equipment or flammable chemicals are not a factor. Both conductive matting and static dissipative matting must be grounded to be effective. Q. Can I use chairs on anti-fatigue mats? A. As a general rule of thumb, most manufacturers recommend that you avoid using chairs on anti-fatigue mats. Anti-fatigue mats and their respective materials and thicknesses inhibit the safe use of chairs (rolling and nonrolling styles). In addition, damage to the matting surface could occur. The primary intent for anti-fatigue matting is to increase comfort level and reduce fatigue for workers who have to stand for long durations to perform a particular job function. Q. What kind of mat is best for use in wet environments? What about freezer environments? A. Matting constructed of materials that won’t absorb water and that has drainage holes to prevent liquids from building up on the mat surface is best suited for wet environments. Many offerings for wet environments are also designed with skid-resistant surfaces to help prevent slips and falls. For use in freezers, choose nonporous matting that won’t absorb or hold moisture, has a nonskid surface and is constructed of materials that can withstand low temperatures. Due to the variety of freezer temperature extremes, you should always inquire about the temperature rating for which a mat material may have been tested. Q. What type of mats should be used to clean the soles of shoes prior to entering cleanrooms? A. High-tack mats constructed with sticky-adhesion material designed to remove dust, dirt and bacteria from shoe soles are typically used for cleanroom applications. Q. Is a smooth or textured surface better for anti-fatigue mats? A. Matting surface texture varies among different manufacturers and suppliers. The environment the matting will be used in dictates the best surface choice. Solid/smooth surface mats are intended for use in dry and clean environments. Solid/textured surfaces are intended for dry and dirtier environments to prevent slips when dust, dirt and grime accumulate on the mat surface. Q. Is thicker always better when it comes to anti-fatigue mats? A. Not necessarily. The overall construction and density has a direct effect on how effective and ergonomically safe the matting is. Although an anti-fatigue mat may be considered the thickest within its category offerings, if it is too soft this value becomes unimportant, due to the overriding problems associated with mats that are too soft. Standing on a surface that is too soft can actually increase worker fatigue and even cause injury due to surface instability, which could also cause a potential tripping hazard. On the other hand, an anti-fatigue mat must be thick enough and constructed of materials dense enough to prevent bottoming out when stood on. Optimal thickness to prevent bottoming out along with construction density goes hand in hand with optimal safe stability and ergonomic comfort. Q. What are the keys to selecting an entryway mat? A. Entrance matting serves to scrape and clean dirt, debris and moisture from foot traffic, preventing it from being tracked into a clean environment. This also reduces maintenance time that would otherwise be spent cleaning the entryway. Key items that should be determined prior to selecting the appropriate entryway matting are location (indoors, outdoors, between doors), application (commercial, industrial, high traffic, low traffic) and environmental conditions (dirt, mud, dust, grime, moisture, ice). Q. Where can mercury be found? A. Mercury is a naturally occurring element refined from cinnabar mined from the Earth's crust. Refined mercury is used to manufacture many products. Mercury can be found in fluorescent bulbs, mercury vapor lamps, metal halide lamps, relays, manometers, gauges, thermometers, thermostats, button cell batteries, dental fillings, mercury switches, old pesticides, fungicides and paints. Q. What symptoms are associated with mercury exposure? A. Signs of mercury poisoning include trembling; the loss of feeling or a burning sensation in the arms and legs; hearing, vision or memory loss; kidney problems; slurred speech; irritability; loss of memory; depression; anxiety and—at high doses—death. Click here to find out what mercury has to do with the phrase "Mad as a hatter." Q. How should I clean up a mercury spill? A. For indoor spills, check clothing and footwear for contamination to avoid spreading mercury into other areas. Open all nearby windows and shut off the ventilation system, if applicable. For outdoor spills, ventilation is typically not as crucial, but mercury spilled on loose soil may migrate deep into the soil due to its high density and heavy weight. For small spills, use sand to contain the mercury or an amalgamate such as Hg absorb powder to bind with the mercury and reduce vaporization. For large spills, dike the area far in advance of the spill for later reclamation or disposal. Mercury-approved vacuums are commonly used on large spills. For all spills, isolate the area immediately. Cleanup personnel should wear appropriate PPE clothing, gloves and SCBA-type respirators. If the mercury spill occurred on carpet, upholstery or curtains, the area of the spill needs to be cut out, removed and disposed of according to the local governing authorities and regulations. Q. Do I need to wear any personal protective equipment when working with mercury or cleaning it up? A. Respiratory protection should be worn. If concentrations are known, an air-purifying respirator (APR) with mercury cartridges can be worn as long as the concentrations do not exceed the APR’s limitations. If concentrations are unknown, a self-contained breathing apparatus (SCBA) should be worn. Gloves should be worn to protect the skin from absorbing mercury. Each manufacturer does individual testing on its gloves, so it is best to check the chemical compatibility prior to purchase. Two gloves that were tested by the manufacturer are the sol-vex nitrile glove and the PVC petroflex glove. As with gloves, other clothing (such as aprons, smocks or coveralls) that has been tested and protects against mercury should be worn. Q. How should I dispose of an item that contains mercury? A. When an item or a product has reached the end of its useful life or becomes damaged, the mercury should be sent to a mercury recycling center. Mercury must not be discarded down the sink drain or in the regular trash. Q. How can I find out if mercury vapors are present in my work area? A. Wear a clip-on mercury vapor badge (also known as a personal air monitor). The badge will not only detect the presence of mercury vapor, but can also be sent to a lab for analysis, giving you an exact reading of the concentration level in your work area. Or you can use a mercury indicator powder to determine if mercury is still present in an area where a spill occurred. Q. Can oily waste cans be used to hold liquids? A. No. Oily waste cans are not approved for liquid storage. The cans are meant to hold items like oily or solvent-soaked cloths. If the cloths are saturated to the point that they may generate a leak, a secondary containment system like the 9ACY0 may be required. Q. Since the cans say "EMPTY EVERY NIGHT," where should I put the oily waste at that time? A. You can check with your local fire marshal for guidance specific to your location. In many cases, an open head 55-gallon drum is used with a lid such as the 6AX40 or 3TCT8. Then this container would be placed in a suitable storage area designated for its use and protected with an automated fire suppression system. Q. Why does the can say "EMPTY EVERY NIGHT"? A. According to OSHA standard 29 CFR 1910.125(e)(4)(iii), "When waste or rags are used in connection with dipping operations, approved metal waste cans shall be provided and all impregnated rags or waste deposited therein immediately after use. The contents of waste cans shall be properly disposed of at least once daily at the end of each shift." Per 29 CFR 1926.252(e), "All solvent waste, oily rags and flammable liquids shall be kept in fire- resistant covered containers until removed from worksite." And 29 CFR 1926.25(c) states, "Containers shall be provided for the collection and separation of waste, trash, oily and used rags and other refuse. Containers used for garbage and other oily, flammable or hazardous wastes, such as caustics, acids, harmful dusts, etc. shall be equipped with covers. Garbage and other waste shall be disposed of at frequent and regular intervals." Q. Can I put "solvent-soaked" rags into the cans even though they say oily waste? A. Yes. Solvent-soaked rags or cloths can be stored in oily waste cans because they are not only for oily waste, but also for flammable waste as listed in the literature of the oily waste can manufacturer. A. No. These containers are fire-resistant and designed to keep flames from getting inside or outside the can, but they are not fireproof. There is no such item that is fireproof. Q. Do I need to further label what is inside the can once the waste materials are placed in them? A. 29 CFR 1910.1200 labeling requirements may apply. Check with your local OSHA office and your local fire marshal to determine if your area has requirements that supersede OSHA. Q. When and why would I choose steel vs. plastic oily waste cans or vice versa? A. Steel is more durable than plastic, but it may be susceptible to corrosion. Additionally, steel is more likely to be compatible with the chemicals being placed in the can. Plastic cans may be more suitable in corrosive environments where metal products would not be appropriate. Plastic also resists dents. Q. Does the self-closing lid design have a fusible link? A. A fusible link, such as those used in the doors of flammable storage cabinets, is not applicable to oily waste cans because there are no means provided to hold the can's lid open. Oily waste cans use either foot levers that will automatically close the lid when the lever is released or manually opening lids that will not allow the lid to open far enough to remain open. Q. Does OSHA require fire extinguishers in the cab of a crane? A. Yes. OSHA 29 CFR 1910.179 states that all cranes need to be equipped with fire extinguishers. The employer must ensure that operators are familiar with the operation and care of fire extinguishers provided. Carbon tetrachloride extinguishers cannot be used. Q. What is the difference between a drag brake and a holding brake? A. A drag brake is a brake that provides retarding force without external control. A holding brake is a brake that automatically prevents motion when power is off. Q. Can I make modifications to my crane? A. Yes. Cranes may be modified and re-rated, provided that the modifications and the supporting structure for the newly rated load are thoroughly checked by a qualified engineer or the equipment manufacturer. Q. What are the basic steps for proper lifting? Stand close to the load with your feet spread apart about shoulder width, with one foot slightly in front of the other for balance. Squat down, bending at the knees (not the waist). Tuck your chin while keeping your back as vertical as possible. Get a firm grip on the object before beginning the lift. Begin lifting slowly with your LEGS by straightening them. Never twist your body during this step. Once the lift is complete, keep the object as close to the body as possible. As the load's center of gravity moves away from the body, there is a dramatic increase in stress to the lumbar region of the back. Q. Do back support belts prevent back injuries? A. The National Institute of Occupational Safety and Heath (NIOSH) has concluded that there is a lack of scientific evidence supporting the use of back belts. Although back belts are being used to help prevent back injuries, there is very little scientific evidence to show their effectiveness. Appropriate back safety training is the most successful way to prevent back injuries. Q. Does wearing a back support belt increase a person’s weight-lifting potential? A. The theory is that wearing a back support increases intra-abdominal pressure (IAP), which is supposed to better support the back and abdominal muscles when lifting. However, there is very little scientific information to support this. For more detailed information, see Quick Tips #221: Proper Lifting Techniques. Q. The PPE standard (Personal Protective Equipment) requires employers to perform hazard task analyses on employees to minimize potential injuries. What is suggested for doing a hazard task analysis for lifting? A. To evaluate a worker’s lifting habits, consider the following variables: frequency of lifting, duration of such activities, type of lifting, and the worker’s state of health, body size, age and general physical fitness. A. Proposition 65 was enacted as a ballot initiative for the state of California in November of 1986. Its goal was and still is to protect California citizens from chemicals known to cause cancer, birth defects or other reproductive harm. It requires the state of California to publish, at least annually, a list of chemicals known to cause cancer or reproductive harm. To view the current list of chemicals, click here. Proposition 65 is also referred to as the Safe Drinking Water and Toxic Enforcement Act of 1986. Q. Who administers Proposition 65? A. The Office of Environmental Health Hazard Assessment (OEHHA), which is part of the California Environmental Protection Agency (Cal/EPA), administers Proposition 65. Q. How do chemicals get on the list of those that are known to cause cancer or reproductive harm? The state of California’s Science Advisory Board determines that the chemical can cause cancer or birth defects or other reproductive harm. The Board consists of two independent committees: the Carcinogen Identification Committee (CIC) and the Developmental and Reproductive Toxicant (DART) Identification Committee. The two committees are made up of scientists and health professionals. OEHHA staff scientists compile information and research to help the committees in their decision whether or not to list the chemical. A state or federal government agency requires that the chemical be labeled as causing cancer or birth defects or other reproductive harm. Generally, chemicals listed in this way are prescription drugs that the FDA has deemed hazardous. Q. How does a business know if it needs to provide a warning? A. The warning requirement states: “No person in the course of doing business shall knowingly and intentionally expose any individual to a chemical known to the state to cause cancer or reproductive toxicity without first giving clear and reasonable warning to such individual.” For more information on how to interpret this statement, please contact the OEHHA or the California EPA directly at 510-622-3200. Q. How much of the chemical needs to be present before issuing a warning, and how will I know if the presence of the chemical has reached that level? A. For carcinogens, the no significant risk level (NSRL) is the level of exposure that would result in no more than one case of cancer in 100,000 individuals exposed to the chemical over a 70-year lifetime. For developmental toxins, the level is reached a bit differently. The “no observable effect level” (NOEL) is determined by identifying the level that has been shown to not pose any harm to humans or animals. The NOEL is then divided by 1000 to provide an ample margin of safety. Therefore, businesses must provide a warning if they cause exposures to reproductive toxicant chemicals at a level which exceeds 1/1000th of the NOEL. Q. How are warnings given, and what do they say? A. Warnings are issued in a variety of ways, such as labels on consumer products, signs in workplaces, notices at rental complexes, or notices published in a newspaper. Proposition 65 offers some “safe harbor” warning language for consumer products. For carcinogens, that wording is: “WARNING: This product contains a chemical known to the State of California to cause cancer.” For reproductive toxins, the language is “WARNING: This product contains a chemical known to the State of California to cause birth defects or other reproductive harm.” Other safe harbor language has been established for occupational and environmental exposures, alcoholic beverages and restaurants. For more information on what language you should use in these instances, contact your local authorities or the OEHHA directly. Q. How is Proposition 65 enforced? 1. The Attorney General can take enforcement action. 2. Any district or city attorney (for cities whose populations are greater than 750,000) can take action. 3. Any individual or group acting in the public interest may file a lawsuit against alleged businesses. All three methods have been used in the past. Penalties for violation of Proposition 65 can be as much as $2500 per day for each violation. Q. If I am a distributor and I would like to ship a product to a customer in the state of California, am I still responsible for labeling the product if it falls under the Proposition 65 labeling requirements? A. Yes. The distributor is required to make sure the product is properly labeled. Distributors are not exempt from Proposition 65 requirements. However, this applies ONLY to products shipping to California and does not apply to those shipping to other states. Q. Are any businesses exempt from Proposition 65? A. Small businesses with less than 10 employees, governmental agencies, and public water systems are exempt from the warning requirement and discharge prohibition of Proposition 65. This is addressed in the definition for “person in the course of doing business” in section 25249.11(b) of the OEHHA’s Health and Safety Code. A. Radon is a radioactive gas formed by the natural radioactive decay of uranium in soil, rock and water. It is colorless, tasteless and chemically inert—and found in all 50 of the United States. Once produced, it seeps up through the ground to the air above, though some remains below the surface dissolving in underground flowing water. Radon gas decays into radioactive particles that can become trapped within your lungs when you breathe. As the particles break down further, they release small bursts of energy that can damage lung tissue and lead to lung cancer. Not everyone exposed to elevated levels of radon will develop lung cancer. The amount of time between exposure and the onset of the disease may be many years. Breathing radon does not cause any short-term health effects such as shortness of breath, coughing, headaches or fever. Research suggests that swallowing water with high radon levels may pose risks too, although risks are much lower than those from breathing air containing radon. Radon in air is estimated to cause about 21,000 cancer deaths per year in the United States, usually occurring from 5 to 25 years after exposure. Q. How does radon get inside of buildings or housing? A. Primarily, radon enters buildings through cracks, holes, construction joints, gaps in suspended floors, service pipes, cavities inside of walls and any porous features existing in the foundation—even the water supply. Once inside, radon becomes trapped and levels can become concentrated. Q. Is it safe when radon is in water and no longer airborne? A. No. When radon enters through a building's water supply, it is still released and poses both inhalation and ingestion risks. Q. What amount of radon is considered harmful? A. A national residential radon survey in the U.S. found that the average indoor level is about 1.3 picocuries per liter (pCi/L), while the average outdoor level is about 0.4 pCi/L. The World Health Organization (WHO), National Academy of Sciences, U.S. Department of Health and Human Services and EPA have classified radon as a known carcinogen. It is estimated to be the second leading cause of lung cancer in the U.S., according to the EPA, which has established a recommended action level for Radon at 4 picocuries per liter (pCi/L). For radon concentrations at or above 4 pCi/L, the EPA recommends that steps be taken to reduce exposure levels to below the action level. Q. What is a “picocurie” (pCi)? A. A “picocurie” or pCi, is a measure of the intensity of radiation from radon. One pCi is one trillionth of a Curie, 0.037 disintegrations per second, or 2.22 disintegrations per minute. At EPA’s recommended action level of 4 pCi/L (picocuries per liter), there will be 12,672 radioactive disintegrations in one liter of air during a 24-hour period. Q. How is radon detected? A. There are two different testing methods: passive and active. Active radon testing requires power, where passive testing does not. Passive testing methods include charcoal canisters, charcoal liquid scintillation and alpha-track detectors that can measure radon in as little as 48 hours. Active testing requires continuous monitoring up to 90 days or more, but it is considered the most accurate method. Radon test kits are available from local hardware and home improvement stores as well as online retailers. Both methods require radon samples to be sent to a laboratory for analysis, with a report being mailed back to you. Q. How do I choose short- or long-term testing? A. Because radon levels tend to vary from day to day and season to season, short-term results may not be a good representation of a structure’s actual year-round radon level. To obtain a more accurate idea of year-round levels, long-term testing kits should be used. Obviously, short-term tests are the quickest way to determine current radon levels. Q. How is testing actually performed? A. The EPA has established and printed guidelines, which Grainger has included in Quick Tips #302: Radon: Detection, Remediation and Awareness. Q. What is a “working level” (WL)? A. Some testing devices measure radiation from radon decay products, rather than radiation coming directly from radon. Measurements from these devices are often expressed as “working level” (WL). A level of 0.02 WL is usually equal to about 4pCi/L in a typical home. Q. What should I do if levels are found to exceed the 4pCi/L limit? A. Lowering high radon levels requires technical knowledge and special skills. You should use a qualified contractor or a certified installer, who can study the radon problem in your home and help you pick the right solution. The first step with almost any remediation plan is to seal all the cracks or gaps in a structure’s foundation or concrete floor or slab. There are a variety of techniques that remediation contractors use to solve radon problems. The EPA recommends using a method that prevents radon from entering the building. Q. Can the radon level within a building be predicted? A. No, it is not possible to make a reliable prediction. Testing is the only known current way to determine levels of radon. Q. How can a qualified radon professional be located? Q. What is the difference between an assigned protection factor (APF) and a fit factor? A. According to ANSI Z88.2-1992, an APF is the expected workplace level of respiratory protection that would be provided by a properly functioning respirator or a class of respirators to properly fitted and trained users. A fit factor is a quantitative measure of the fit of a particular respirator on an individual. 1) Includes 1/4 mask, disposable half masks, and half masks with elastomeric facepieces. 2) Demand SCBA shall not be used for emergency situations such as fire fighting. 3) Protection factors listed are for high-efficiency filters and sorbents (cartridges and canisters). With dust filters, an assigned protection factor of 100 is to be used due to the limitations of the filter. 4) Although positive-pressure respirators are currently regarded as providing the highest level of respiratory protection, a limited number of recent simulated workplace studies concluded that all users may not achieve protection factors of 10,000. Based on this limited data, a definitive assigned protection factor could not be listed for positive-pressure SCBAs. For emergency planning purposes where hazardous concentrations can be estimated, an assigned protection factor of no higher than 10,000 should be used. NOTE - Assigned protection factors are not applicable for escape respirators. For combination respirators, e.g., airline respirators equipped with an air-purifying filter, the mode of operation in use will dictate the assigned protection factor to be applied. Q. What is the difference between a qualitative fit test and a quantitative fit test? A qualitative fit test is a pass/fail test that relies on the subject’s sensory response to the challenge agent. The four OSHA-accepted challenge agents are irritant smoke, saccharin, isoamyl acetate (banana oil) and bitrex. Qualitative tests are typically very economical. However, they will only verify a 10X fit factor. A quantitative fit test uses an instrument (one commonly used device is called a portacount) to measure the challenge agent inside and outside the respirator. It will verify fit factors above 10X, but it is more expensive to conduct this type of testing due to the instrumentation and components needed. Q. What size respirator should I order: small, medium or large? A. Even though approximately 80 percent of people wear a medium-sized respirator, the only way to determine the correct size mask is to perform a fit test. When performing a fit test, start with a medium mask. If, during the fit test, it is determined that the mask does not fit properly, proceed testing with the next possible appropriate size for the person being tested. Q. What type of respirator should I wear to reduce exposure to mold? A. Currently, there are no published exposure limits for mold. The Environmental Protection Agency (EPA) and the New York City Department of Health (NYCDOH) have published recommendations on respirator selection for mold remediation activities based upon the size of the contaminated area. For areas less than 10 sq. ft., a filtering facepiece respirator (N95 disposable respirators) or half masks with replaceable particulate filters may be used in conjunction with nonvented goggles. For areas between 10 and 100 sq. ft., either a half mask with nonvented face goggles or a full facepiece respirator with 100-level particulate filters should be used. For areas greater than 100 sq. ft., a full facepiece respirator with 100-level particulate filters should be used. The full facepiece may also be used as part of a powered air-purifying respirator (PAPR) system. Q. What is the difference between a respirator approved by the National Institute of Occupational Safety and Health (NIOSH) and a surgical mask? A. NIOSH-approved respirators are designed to help reduce the wearer’s exposure to airborne contaminants. The primary purpose of a surgical mask is to help prevent biological particles from being expelled by the wearer into the environment. Surgical masks are also designed to be fluid-resistant to splash and splatter of blood and other infectious materials and not for reducing the wearer’s exposure to ambient airborne contaminants. Surgical masks are not necessarily designed to seal tightly to the face, so the potential for air leakage around the edges exists. Other types of masks that appear similar to respirators may not be designed to protect the wearer from airborne hazards. Therefore, they should not be considered an equivalent substitute for a NIOSH-approved respirator. There are some approved respirators designed to have the characteristics of both a NIOSH-approved respirator and a surgical mask, such as Grainger product No. 4MH50. Q. Can I use another brand of cartridges and parts with my current respirator? A. No. Using another series or brand of components will void the NIOSH/MSHA approval because cartridges and masks are tested and approved as a unit. Q. What does the acronym HEPA stand for? A. HEPA is defined as high-efficiency particulate absolute. A HEPA-rated filter is at least 99.97 percent efficient when tested with 0.3-micron aerosol. Q. Why isn't there a HEPA filter for air-purifying respirators (APRs)? A. In 1998, NIOSH initiated a new set of regulations for testing and certifying nonpowered, air-purifying, particulate respirators, in 42 Code of Federal Regulations (CFR) Part 84. Certification requirements for all other classes of respirators were transferred to Part 84 without change. These other classes of respirators include: chemical cartridges, self-contained breathing apparatus [SCBA], airlines, gas masks without a particulate filter, powered air-purifying respirators [PAPRs] equipped with HEPA filters, etc. Q. What do I use if I need a HEPA for my APR? A. A P100 filter would be used in the same applications a HEPA is used. Filters with a P100 designation are oil-proof and at least 99.97 percent efficient when tested with 0.3-micron dioctyl phthalate (DOP) aerosol. Q. How do I go about selecting the proper cartridge for my application? The medium used in the cartridge is usually activated carbon. The adsorption capacity of the cartridge is limited. Q. How often do I need to change my chemical cartridges, and how will I know when to change my cartridges? Q. Can an ambient air respirator be used in environments that are immediately dangerous to life or health (IDLH)? Q. No. The only options in an IDLH environment are a pressure-demand airline respirator with an escape bottle or a Self-Contained Breathing Apparatus (SCBA). Ambient air pumps should only be used in locations containing at least 19.5% oxygen. Q. Most airline respirator manufacturers make air supply hoses in either 50' or 100' lengths. However, inlet hose extensions may be used with some brands to increase the distance from air source to person to reach a greater distance. Check the owner's manual of your airline respirator to see specific recommendations for the maximum length of hoses allowed. Q. Most manufacturers suggest replacing the inlet and exhaust filters every 200 running hours. However, conditions can vary. Check the owner's manual for pump-specific recommendations. Q. According to the National Institute for Occupational Safety and Health (NIOSH), when used with an approved airline at a pressure of 1-105 PSI, air is delivered to the respirator at a rate of at least 4 cu. ft. per min. (CFM) for a tight-fitting facepiece and at least 6 CFM for a loose-fitting facepiece. For additional information, see Quick Tips #141: Particulate Respirators, 42 CFR Part 84. Q. What are the lenses of safety glasses made of? A. Most nonprescription (plano) safety glasses have polycarbonate lenses. Prescription safety glasses may have CR-39® plastic, glass or polycarbonate lenses. Q. What is the difference between CR-39® and polycarbonate lenses? A. CR-39 is a PPG Industries registered trade name for diallyl diglycol carbonate (DADC) polymer, introduced in 1941. The "CR" stands for Columbia Resin and CR-39 was the 39th batch or formula made by Columbia Laboratories in Ohio. This polymer is a polycarbonate, but its starting materials are different from the resins used in safety glasses with polycarbonate lenses. The CR-39 is a thermoset plastic, meaning it cannot be molded or bent when heated. The polycarbonate polymers used in most safety glasses are thermoplastic, which means the lenses are formed by melting polycarbonate pellets and injecting them into a mold. Q. Why do most plano glasses have polycarbonate lenses? A. Polycarbonate lenses are impact resistant, lighter in weight and have built-in ultraviolet protective properties. Similar to the way that sunscreen keeps the sun's rays from damaging the body, UV protection shields the eyes from the same detrimental light rays. Q. Will plano safety eyewear weaken or ruin my eyesight? A. No, all plano eyewear compliant with American National Standards Institute (ANSI) standards is made of optical-quality material. Looking through them for many hours a day will not weaken your vision. It is not unusual for some individuals to experience difficulty adjusting to new safety eyewear. The problem may be the result of the individual requiring prescription rather than plano safety eyewear. If the visual discomfort continues, an eyecare professional should be consulted. Another option is simply to change the style of the eyewear selected. Q. I wear prescription lenses—what are my options? A. Workers who wear prescription lenses must wear a pair of safety glasses that incorporates the prescription in its design, or wear safety glasses that can be worn over prescription lenses without disturbing the proper position of either. There are many options of safety glasses that can be worn over prescription lenses. Optional prescription inserts are available for a variety of safety glasses, including North Lightning™, North N-Vison™ and uvex® XC™. Safety reading glasses (with diopters incorporated into the lens design) are also available. Q. Can photochromic lenses be worn in an industrial environment? A. Photochromic lenses darken when exposed to sunlight and lighten when used indoors. The use of these lenses in the workplace has been controversial. Photochromic lenses should be used with care in operations requiring critical acuity or quick reaction to visual stimuli, since the change in tint is not immediate. Special care should be taken for those work operations where a worker passes from outdoors to indoors in the course of the job—e.g., a forklift operator. Although photochromic lenses absorb ultraviolet light, they should not be used as a substitute for the proper protector in hazardous optical radiation environments. Q. How should I maintain my protective eyewear? A. Safety eyewear must be maintained properly in order to provide you with maximum protection. Protective eyewear should be cleaned according to the manufacturer's instructions. If no instructions are available, clean or soak the eyewear with mild soap and warm water (120°F). Rinse thoroughly and allow to air dry. Q. ANSI Z87.1 was updated in 2003. Has the revised standard been incorporated into the OSHA regulations? A. On September 9, 2009 OSHA issued an update to its personal protective equipment (PPE) standards. The final rule, which became effective October 9, 2009, revised the PPE sections of OSHA’s general industry, shipyard employment, longshoring, and marine terminal standards regarding requirements for eye- and face-protective devices, head protection and foot protection. The revision updated the references in these regulations to recognize the more recent editions of the applicable national consensus standards. It allows employers to use PPE constructed in accordance with any of three national consensus standards—the two most recent and the incorporated reference in the current standards. Q. What is the difference between an overpack and a salvage drum? A. A. Overpack drums and salvage drums may look virtually identical, but they are different shipping containers used for different shipping scenarios. Although a salvage drum is an overpack drum, the reverse is not true. To better explain the differences between salvage and overpack drums, here is a review of the Department of Transportation (DOT) definitions. According to National Institute for Occupational Safety and Health (NIOSH) standard 49 CFR 171.8, an overpack is “an enclosure that is used by a single consignor to provide protection or convenience in handling of a package or to consolidate two or more packages.” Many things besides drums can be overpacks. If one or more packages are placed on a pallet and secured by shrink-wrapping, stretch-wrapping or strapping, this could be an overpack. If one or more packages are placed in a box or crate, this could be an overpack. An overpack can also include one or more packages placed in a salvage drum. Therefore, a salvage drum could be an overpack drum. Salvage packaging is defined in 49 CFR 171.8 as “special packaging conforming to 173.3 of this subchapter into which damaged, defective or leaking hazardous materials packages, or hazardous materials that have spilled or leaked, are placed for the purposes of transport for recovery or disposal.” To actually be a salvage drum, the drum must be marked “SALVAGE” or “SALVAGE DRUM” and the drum manufacturer must be able to provide a qualification test report certifying performance to 49 CFR Part 173.3 Shippers—General Requirements for Shipments and Packagings. Although overpack and salvage drums are both larger drums that hold smaller drums, they are not the same thing and cannot be used interchangeably. They are both tested in a similar manner and must pass the stack and drop tests specified in 49 CFR 173.3. However, salvage drums must also be proven to be leakproof by passing a pressure test. Q. What volume capacity must be contained by a secondary container? A. According to 40 CFR 264.175(b)(3), a containment system must have sufficient capacity to contain 10% of the volume of containers or the volume of the largest container, whichever is greater. Note: Some states may have more stringent restrictions. Q. What can be used as secondary containment? Q. What's the difference between ionization and photoelectric smoke alarms? A. An ionization smoke alarm contains a small amount of radioactive material. The radiation passes through an ionization chamber, which is an air-filled space between two electrodes, and permits a small, constant current between the electrodes. Any smoke that enters the chamber absorbs the alpha particles, which reduces the ionization and interrupts this current, setting off the alarm. Photoelectric smoke alarms operate using a light source, a light beam collimating system and a photoelectric sensor. When smoke enters the optical chamber and crosses the path of the light beam, some light is scattered by the smoke particles, directing it at the sensor and activating the alarm. Combination alarms feature both ionization and photoelectric technologies. Ionization sensing alarms may detect invisible fire particles (associated with fast-flaming fires) sooner than photoelectric alarms. Photoelectric sensing alarms may detect visible fire particles (associated with slow smoldering fires) sooner than ionization alarms. Home fires develop in different ways and are often unpredictable. The NFPA recommends using combination smoke alarms in the home for the best protection. Q. What is the proper placement of smoke detectors? A. Smoke alarms should be placed on each level of your home and outside each sleeping area. If bedroom doors are closed, additional alarms should be located inside the bedrooms, as well. Since smoke rises, the installation should be on the ceiling at least four inches away from the nearest wall and away from the drafts from windows or air ducts. Install your alarms at least 20 feet from appliances like furnaces and ovens, which produce combustion particles. Alarms should be at least 10 feet from high humidity areas like showers and laundry rooms. As always, make sure to follow manufacturer's installation instructions and verify all codes and compliance with your local authority. These authorities could include your building inspector, fire marshal, and/or insurance bureau. Q. How much area will a smoke alarm cover? A. Smoke alarms provide 900 square feet of coverage under normal conditions. The maximum distance between two smoke alarms should be 30 feet; this translates to one alarm every 30 feet. In areas with high airflow or ceiling obstructions, smoke detectors should be placed closer to each other. Q. How long do smoke detectors last? A. Smoke alarms have a limited life. Although each smoke alarm and all of its parts have passed many stringent tests and are designed to be as reliable as possible, any of these parts could fail over time. Therefore, you must test the devices weekly. The unit should be replaced immediately if it is not operating properly. The performance of smoke detectors older than 10 years is simply not reliable. To ensure your family's safety, all carbon monoxide and smoke/CO combination detectors need to be replaced every 5 years. All smoke alarms need to be replaced every 10 years. Q. How can I test my smoke alarm? A. Using the test button will ensure an accurate and complete test that your alarm is working properly. When testing interconnected units, be sure to verify that all the alarms in the system sound. Aerosol products can be used to test a smoke alarm. If using this method, be sure to follow the instructions supplied by the manufacturer of the aerosol, and direct the spray so it enters the alarm sensor area. The holes on the cover of the alarm are for the sound to emit. If the spray is aimed directly at this area it will not enter the sensing chamber. Smoke entry in an alarm is through the opening around the parameter. Igniting combustible materials to test your alarm is not recommended. An accident could occur and result in a fire. Q. What is the most accurate way to assess sorbent capacity? A. Sorbent capacity may be listed by the amount of weight the sorbent will absorb in relation to itself (e.g., absorbs 12 times its weight, or by its liquid capacity, absorbs up to 12 gallons). If a boom weighs one pound and absorbs 12 times its weight, it will absorb 12 pounds of fluid. However, since all liquids don’t weigh the same per gallon, the weight capacity of the sorbent varies from liquid to liquid. A more accurate way to assess sorbent capacity is by how many gallons it will absorb. This amount will remain fairly static, regardless of the fluid weight. Q. What tests are used for calculating sorbent performance? A. The standard method of sorbent performance testing is described in detail in the American Society for Testing Materials (ASTM) F716-82 Standard Methods of Testing Sorbent Performance of Adsorbents. Oil and water adsorption strength, buoyancy, absorbency and reusability are some of the tests included in this standard. Q. What is the difference between absorption and adsorption? A. Absorption is the assimilation of one material into another. During absorption, liquid is taken up into the physical structure or fibers of the sorbent. Adsorption is the adhesion of substances to a solid surface. Adsorption occurs when liquid clings to the surfaces of the sorbent fibers. Q. What is the difference between hydrophilic and hydrophobic sorbents? A. Hydro = water, philic = loving. Sorbents that are hydrophilic absorb water and water-based substances. Hydro = water, phobic = fearing. Sorbents that are hydrophobic repel water and water-based substances. Q. What types of thermometers are there? A. The most common thermometers are liquid-filled (such as mercury), spirit-filled, or nontoxic biodegradable liquid. They are produced in a variety of accuracy levels depending on the need. Also, there are partial immersion and total immersion thermometers, dial thermometers, thermocouple thermometers and, the latest in technology, infrared (IR) thermometers. Q. What is the most accurate thermometer? A. Total immersion thermometers offer the best accuracy because most of the length is used in the substance and no other factors affect the readings. Q. What is the difference between total and partial immersion thermometers? A. Total immersion thermometers are designed to be inserted into the entire measurable portion of the material or solution where it is not affected by external forces. These may require more space to obtain readings, but they are generally more accurate. Partial immersion thermometers are designed for areas that have limited space, including small samples, laboratory ovens and shallow baths. Since only a small portion of the thermometer is immersed and the remainder of it is subject to outside temperature factors, the scales are graduated to indicate temperatures at specific depths. Q. What are the formulas for converting temperature scales? Q. What are the advantages of a spirit-filled or biodegradable-liquid thermometer when compared to a conventional mercury-filled thermometer? A. The main advantage is avoiding the hazards associated with mercury. Spirit-filled thermometers are nonhazardous and can be easily disposed of if broken. Since mercury is considered a hazard, if a mercury thermometer is broken, it must be cleaned up and disposed of in accordance with local, state, and federal guidelines. Q. What is the spirit fluid? A. A mixture of biodegradable technical white oil, natural citrus oils, and dark green or red anthroquinone dye. Q. What is a thermocouple thermometer? A. Thermometers with thermocouples measure, amplify, linearize and display the voltage signal generated by the thermocouple probe. They can read various temperature ranges depending on the type of probe used. Probes are specified by a letter designation such as J, K, T or E, depending on the temperature range they can read. They are also available in different shapes for measuring surfaces, penetrating materials or taking air/gas measurements. Some are also available with data storage capabilities, alarms, converting temperature scales and average readings. Q. What is an infrared (IR) thermometer and how does it work? A. Infrared thermometers collect energy transmitted, reflected or emitted from an object. The hotter the object, the more infrared energy it emits. This energy is then focused on a detector that converts the energy to an electrical signal, which is amplified and displayed. Infrared thermometers are well suited for moving or hard-to-reach objects or for hazardous materials. These types of thermometers have difficulty accurately measuring temperatures through glass, reflective surfaces or plastic films, depending on the material type and thickness. Q. What is the response time for an IR thermometer? A. The response time of IR thermometers is faster than most other types of thermometers—approximately 0.5 second. Q. How far or from what distance can I measure to take a temperature measurement with an IR thermometer? A. This depends on the optical capability of the IR thermometer. This is where the distance-to-spot ratio specification comes into play. Use the distance-to-spot ratio and the diameter of your target to determine the maximum distance you can be from the target. Most IR thermometers have a maximum measuring distance of approximately 100 feet (30 meters), depending on atmospheric conditions. Q. What is the spectral range of an IR thermometer? A. The infrared spectral range is 0.7 to 1000 µm, the range for wavelength in which infrared radiation is transmitted. For cost reasons, IR thermometers generally operate under 20 m. Most IR thermometers have a spectral response of 8-20 m. This range is used because it is minimally affected by carbon dioxide and water in the atmosphere. With longer, lower-energy wavelengths greater than 20 m, the accuracy decreases with increased distances due to the effects of the atmosphere (humidity). Q. What is emissivity and how does it affect temperature readings from an IR thermometer? A. Emissivity is the ability of an object to emit or absorb energy. Perfect emitters have an emissivity of 1, emitting 100% of incident energy. An object with an emissivity of 0.8 will absorb 80% and reflect 20% of the incident energy. Emissivity may vary with temperature and spectral response (wavelength). Infrared thermometers will have difficulty taking accurate temperature measurements of shiny metal surfaces unless they can be adjusted for emissivity. Q. How can the emissivity of an object be determined? A. First, measure the surface temperature of the object to be measured with a surface-type thermocouple probe. Measure the same surface with an IR thermometer, adjusting emissivity on the thermometer until the temperature readings on both the thermocouple and IR meters agree. For temperatures up to approximately 500°F (260°C), place a piece of regular masking tape on the object to be measured. Allow the tape to reach thermal equilibrium with the object. Using an IR thermometer with the emissivity set at 0.95, measure and note the temperature of the masking tape. Then, measure the surface temperature of the object. Adjust the emissivity until the temperature of the object is the same as that of the tape. Q. What size area does an IR thermometer measure? A. It measures the average temperature of the surface within the measuring diameter. Q. So how do I calculate the range of the IR thermometer? A. The range is the distance from the object being measured in inches/optical resolution. This number (inches) is the diameter of the area the thermometer will measure. The thermometer will give the average temperature of the surface within that circle. Example: Let’s say the thermometer has an optical resolution of 8:1 and you want to measure the temperature of a liquid in a tank at a 20-foot distance. 20 feet X 12 inches per foot = 240 inches. 240 inches/8 = 30 inches; the thermometer will measure the average temperature of a circle 30 inches in diameter, centered on the beam of the thermometer. Q. Can I see through walls with thermal imaging? A. No. While high-resolution and high-sensitivity cameras can create the appearance of seeing through walls, what you are actually seeing is transmitted thermal energy. For example, if you look at the interior walls of a home when it is cold outside, you will likely see the studs in the wall. What is showing on the surface is cold transmitted from the outside, through the studs, to the surface of the drywall. It appears that you can see into the wall and you are actually only seeing the different temperatures on the surface. Q. Can I detect plumbing leaks with thermal imaging? A. Yes. Thermal cameras are a useful plumbing leak locator. Most cameras have a temperature difference sensitivity of .10°C or better. It doesn't take a lot of temperature difference for the camera to see the leak. The issue is allowing that thermal energy difference enough time to transfer through the flooring to the surface. Q. Will thermal imaging detect air leaks? A. Yes. Similar to plumbing applications, this ties directly to the camera sensitivity. Because the temperature change required is so slight, you can detect draft areas around doors, windows and attic access points. Q. Will this work for moisture? A. Yes. Moist materials will retain thermal energy differently, allowing the camera to pick up the differences. You should always double-check a potential spot of moisture with a moisture meter since there are several things that can create the thermal anomaly you are seeing. Q. What is the biggest difference between a $3,000 and $10,000 camera? A. The biggest difference is typically resolution. The higher the resolution, the better the picture clarity. This translates to a better picture at a greater distance as well—similar to the megapixels of a regular digital camera. A. Picture in Picture (PIP) technology in thermal cameras allows you to overlay a thermal image on top of a regular digital image. Depending on the camera, you may be able to resize the thermal image box. Some cameras also allow for fusion or blending, which allows you to fade the thermal image out over the digital image, increasing visibility of what is below the thermal image. This capability can permit reading of machine labels to identify the specific device being checked or can be used to add detail to exactly where an image was taken. Q. What is emissivity, and why is it important to thermal cameras? A. Emissivity is the amount of thermal energy an object either emits or absorbs. This is relevant to thermal cameras because highly reflective materials absorb thermal energy, thus the camera cannot get an accurate reading of temperature. For example, if you heat a black, PTFE resin-lined frying pan that has a chrome exterior, the black side will read a temperature value closer to the actual temperature, whereas the chrome side will give you values that are far from actual. Most materials fall close to the common preset emissivity value in the camera, but this setting can be changed to accommodate different materials. Q. What are important criteria to look for in a camera? A. Price is a common consideration, but there are a few key features to look for. Resolution is an important one. Are you viewing small parts and motors, or is the camera for home energy inspection or moisture detection? Motor inspection might require a higher resolution, where home energy and moisture can be detected with a slightly rougher image. Another consideration may be whether the unit has a field-changeable battery or a car charger. Depending on the application, you may be running the camera for significant periods of time. Obviously, there are many things to consider, but the last one we will cover here is temperature range. Some cameras are ideally suited for industrial applications and will have a higher temperature range for reading electrical panels, motors, heat processes, etc. Other cameras have a range (-4°F to 248°F, for example) that is better suited for home inspections. Moisture and residential energy loss detection can typically be accomplished with a lower temperature range camera. Q. What do UN markings mean? A. Every letter and number within the marking has a meaning. Here is an example. The packaging identification code starts with a symbol that normally appears as a lower case “u” above a lower case “n” inside a circle. This signals that the packaging has been tested to the requirements of the United Nations. The first number, 1–7, indicates the type of packaging: 1=drum or pail, 2=barrel, 3=jerrican, 4=box, 5=bag, 6=composite package and 7=pressure receptacle. The next letter signifies the material of construction: A=steel, B=aluminum, C=natural wood, D=plywood, F=reconstituted wood, G=fiberboard, H=plastic, L=textile, M=multi-wall paper, N=metal (other than steel or aluminum) and P=glass, porcelain or stoneware. The third marking signifies the category of the packaging: 1 indicates a nonremovable head drum and 2 indicates a removable or open-head drum. The fourth marking identifies the performance standard under which the packaging design type has been successfully tested. The packaging groups I, II and III indicate the degree of danger the material presents as either great, medium or minor, respectively. X=packaging group I, II and III. Y=packaging group II and III. Z=packaging group III. After the packaging group comes the specific gravity (liquid) or mass (solids) the packaging has been rated for. If the packaging is without an inner packaging and is intended to contain liquids, this number is the specific gravity rounded to the first decimal. For packaging intended to contain solids or inner packaging, the number is the maximum gross mass in kilograms. 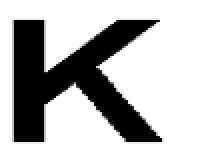 Next is the vapor pressure rating for liquids in kilopascals (Kpa), or an “S” will appear if the packaging is intended to contain solids or inner packaging. The last two digits of the year in which the drum was manufactured comes next. Packaging of types 1H and 3H must also be marked with the month of manufacture. This can be done by any manner and may be located in a different place from the remainder of the markings. The country of manufacture appears next. The next mark indicates the name of the packaging manufacturer and can be done in one of three ways: name and address of the manufacturer, the manufacturer’s registered symbol, or the name and address or symbol of the approval agency certifying compliance with the standard. The minimum thickness of the packaging material expressed in millimeters (mm) follows. This is for metal or plastic drums or jerricans intended for reuse as single packaging or the outer packaging of a composite packaging. Q. Where is the UN marking? A. The UN stamp or marking can be located anywhere on the container—with one exception: it cannot be on a removable lid or head. The marking must be readily apparent and adequately accessible. Q. How can you tell if a container is reconditioned? Is there a special marking? Q. How do I determine whether the material I’m shipping requires a UN-marked container? A. As a shipper of hazardous materials, it’s your responsibility to select a package that is safe, compatible with the material it contains, authorized for the particular material and compliant with all applicable regulations. Packaging authorizations are found in Column 8 of the Hazardous Materials Table in 49 Code of Federal Regulations (CFR) 172.101. Q. Can UN-marked containers be used for storage of hazardous materials? A. UN-marked containers have only been tested to comply with hazardous material transportation requirements. They have not been tested as storage containers. Q. Can a liquid UN rating be converted to a solid UN rating? A. Yes, mathematically it can. A liquid UN rating can be converted to a solid rating using the following formula: Specific gravity (g/mL) x 3,790 mL/gal. x container capacity (gal.) x 1 lb./453.6g x 1 kg/2.21lb. = ____kg. However, if a container is not rated or designed for liquids, the container should not be used for shipping liquids. Q. Can a solid UN rating be converted to a liquid UN rating? A. No. Solid UN ratings cannot be converted to liquid UN ratings.